There are a plethora of things that one should not attempt to paint. For example, I got it into my head that I wanted to paint my bathtub. Now I will never really know why I had that thought. It was one of those middle of the night thoughts that you write down and then in the morning you realize that it’s probably not a good idea. 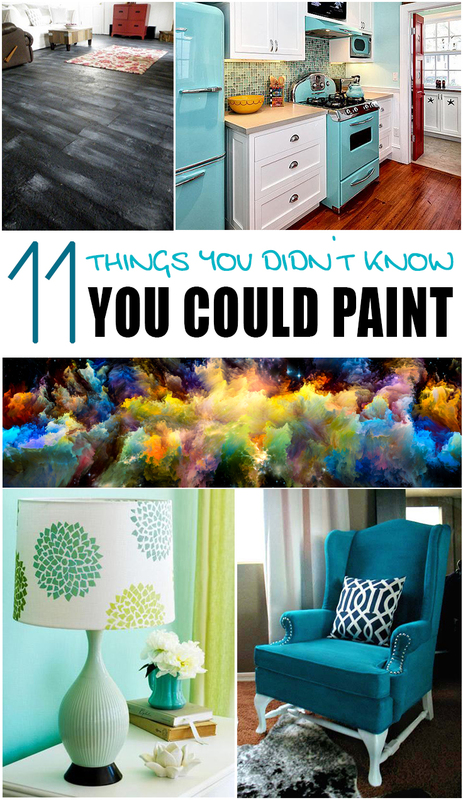 So, to save you from wondering if you really can paint your bathtub or not –I’d say not –here is a list of 11 things you probably didn’t know you can paint.